(Above) Kathy Gheen of Springfield tells an Oktoberfest visitor Sunday about the rustic decor created by her husband, Dale. She said she and her husband enjoy talking to the people and selling their wares at the Champaign County Historical Society’s Oktoberfest, held each year on the front lawn of the society’s East Lawn Avenue museum. She added she likes the fact that everything for sale at the event is homemade. The weather Sunday was sunny and neither hot nor cold – perfect, according to comments of festival browsers and buyers, many of whom were there at the event’s start. Nancy Brumfield of the Terre Haute area, left, looks on Sunday as Oktoberfest visitors discuss their options prior to purchasing some of her autumn-decor creations. 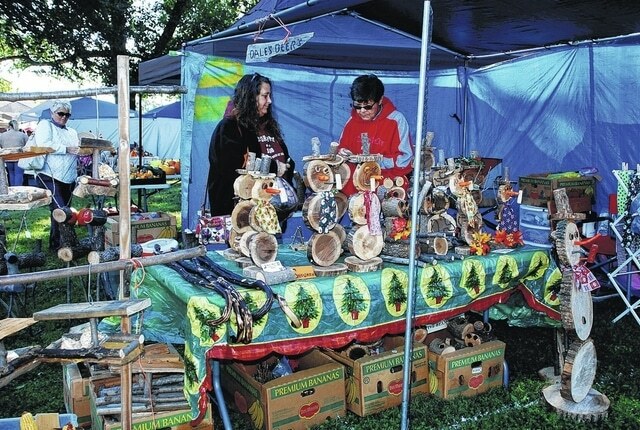 https://www.urbanacitizen.com/wp-content/uploads/sites/36/2015/10/web1_gheen.jpg(Above) Kathy Gheen of Springfield tells an Oktoberfest visitor Sunday about the rustic decor created by her husband, Dale. She said she and her husband enjoy talking to the people and selling their wares at the Champaign County Historical Society’s Oktoberfest, held each year on the front lawn of the society’s East Lawn Avenue museum. She added she likes the fact that everything for sale at the event is homemade. The weather Sunday was sunny and neither hot nor cold – perfect, according to comments of festival browsers and buyers, many of whom were there at the event’s start. 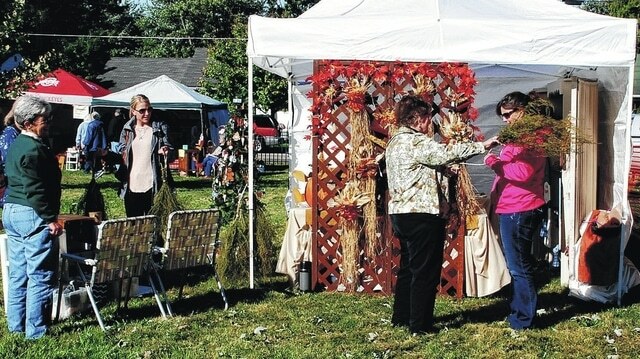 https://www.urbanacitizen.com/wp-content/uploads/sites/36/2015/10/web1_brumfield.jpgNancy Brumfield of the Terre Haute area, left, looks on Sunday as Oktoberfest visitors discuss their options prior to purchasing some of her autumn-decor creations.